In 2014, the National Highway Traffic Safety Administration spearheaded efforts to get more than 7.4 million car seats recalled. The reason for the recall was a defective buckle that could cause the car seat to function improperly, putting children at risk. An Atlanta car accident lawyer knows that car seats have a huge impact on whether a child will be hurt or killed in a collision or not. As many as 1/3 of all kids under the age of 13 who lose their lives in a motor vehicle accident are not properly secured using a car seat, booster seat or seat belt at the time of their deaths. Unfortunately, many parents try to secure their children but it turns out that a problem with the car seat (like a defective buckle) results in the child not having the necessary safety protection. The NHTSA is trying to help parents to avoid this problem with a new tool. The NHTSA has announced a new initiative called "Don't Delay. Register Your Car Seat Today.The goal is to get parents to register their car seat on a new Parents Central website. Once a parent has registered a car seat, manufacturers can notify the parent of a problem with the product and parents can take action to switch to a new seat or have their existing seat repaired. Registration makes a big difference in whether repairs are made or not. Light vehicles must be registered by law, and when a light vehicle is recalled, about 75 percent of people get their car repaired. However, with no required car seat registration, only around 40 percent of parents have their car seats repaired when a recall occurs. When a defective car seat is in use, a child may not benefit from having the proper security in the car. This is can have a huge impact on safety. The Centers for Disease Control and Prevention report that motor vehicle collisions are the leading cause of deaths for young children. However, car seat use can reduce the risk of death by 71 percent for kids between the ages of zero and one. Car seats can also reduce the risk of death for kids between the ages of one and four by 54 percent, and can reduce the risk of death for kids between four and eight by 45 percent. If a car seat is defective, parents can take legal action against the car manufacturer if their child is hurt or killed. However, registering a car seat to be notified about recalls is one of the best ways for parents to avoid this type of tragedy. Parents can also take advantage of other tools that the NHTSA has made available. For example, the NHTSA has a Car Seat Finder tool that allows parents to input their child's weight and their child's age. Using this tool, parents can find the right car seat or booster seat that will meet their families needs. 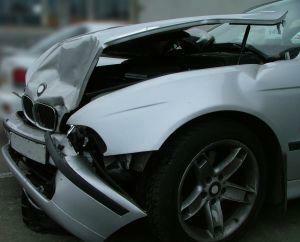 The Atlanta car accident lawyers at Van Sant Law, LLC can represent you if you or your child is hurt in a car accident. Call today at 404-991-5950 or contact us online to schedule your free consultation.